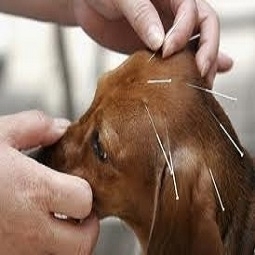 The appropriate application of TCVM treatments, including acupressure, acupuncture, Chinese herbs, and food energy therapy can be integrated into western (conventional) treatments as there are aspects of both perspectives that can work synergistically. Additionally, by integrating western and TCVM approaches, a veterinarian can achieve a thorough evaluation of a pet's entire body to appropriately suggestion a combination of prevention and treatment. Our clinic embraces the holistic approach to pet health and wellness. We balance traditional medicine with acupuncture, herbal and chiropractic therapies. Schedule an office visit with Dr. May. He sees patients on Thursdays.